The Mulitfaceted Diva: Hear Ye, Hear Ye......I Have Something To Tell You About! Hear Ye, Hear Ye......I Have Something To Tell You About! Yes, I have a lot to say so grab your glasses, or kick back, get comfortable, and have one of your kids read this for you, but watch the video, because you know, it's kinda cool. 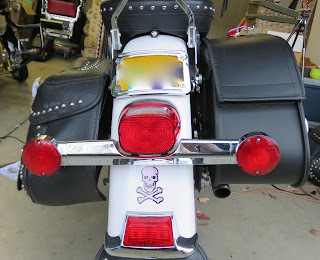 I recently was asked to review a set of saddlebags for my Harley Heritage Softail for a company called Viking Bags. I need to tell you that the company sent me the bags to review in my own words, they wanted an honest, unbiased review. 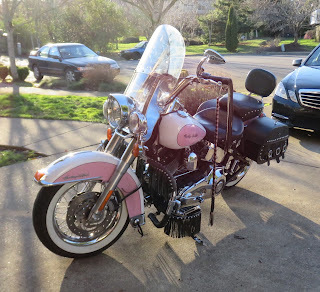 First a bit about my bike. 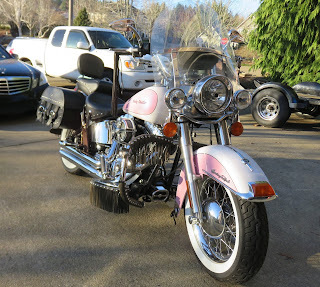 I ride an '06 Heritage and love it. I love the ride, I love the nostalgic look, and I love the places it's taken me that I would have never seen by car. 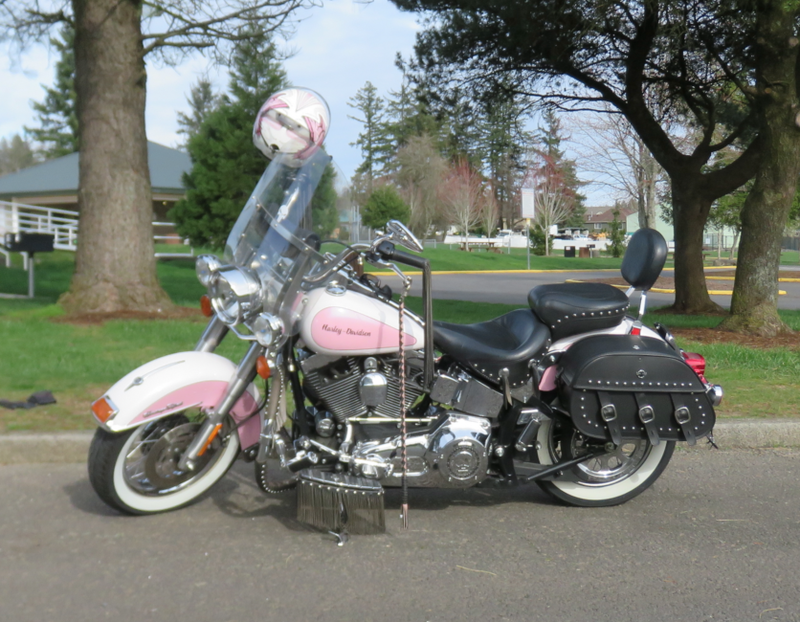 I ordered my bike bright, shiny, and new, in May of 2006. The first thing I did to the bike was replace the original Harley seat, as most of us do, with an after market seat. That little bit of information is important because of the bags I chose. After looking through their website, they have bags for many makes and models of motorcycles, I settled on the Trianon Studded Motorcycle Bags. I chose that particular set of bags for several reasons. First I loved the look, then I saw that they locked! 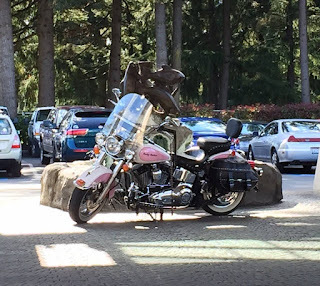 If you ride a Heritage, or have a bike with bags that don't lock, you feel my pain and know why that's a pretty enticing feature. 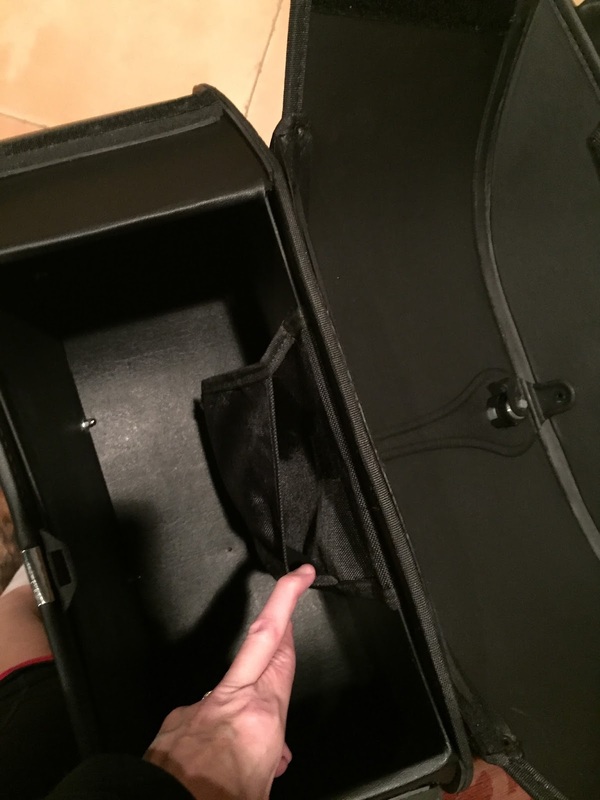 I could not wait for the bags to arrive and when they did I ripped that box open and completely checked them out. The quality is amazing, the stitching is strong and tight, and they are beautiful! The Viking Trianon Bags feature real leather covering a hard plastic body, no more sagging over time. They're several inches deeper than my original bags, and as a woman I was ecstatic to find there was a side pocket! I cannot count the number of times I've had to search through, take everything out, along with a stream of curse words, to find items I needed most. The pocket in these bags looks as if it will solve that irritating problem, as well as prevent scarring of the minds of little kids from my "enhanced vocabulary," that always stop to look at my white and pink Harley with these killer bags. Something I didn't take into account when I chose the bags was that I no longer have the original seat. These bags sit higher on my bike than the stock bags, and the replacement seat has a passenger pad that is wider than stock. I was at first a bit worried about the issue of how far the lid wold open and how difficult it might be to pack the new bags. One really cool feature available with the Viking Trianon Bags is that there is additional hardware available that makes it possible to remove the bags from the bike completely if you're on a trip or just want to give your ride a thorough detailing. 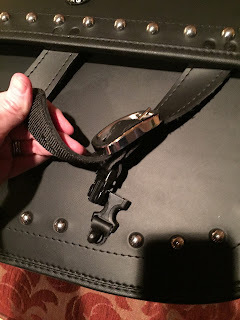 I chose not to use that hardware because I know me and I am not going to want to take the bags off while on trips, so I chose the hardware to mount the bags permanently to my Heritage. Mounting the bags was quite easy. The instructions were clear and after we figured out where we wanted them to sit on the bike they went right on. Then I noticed what could be potential problems. 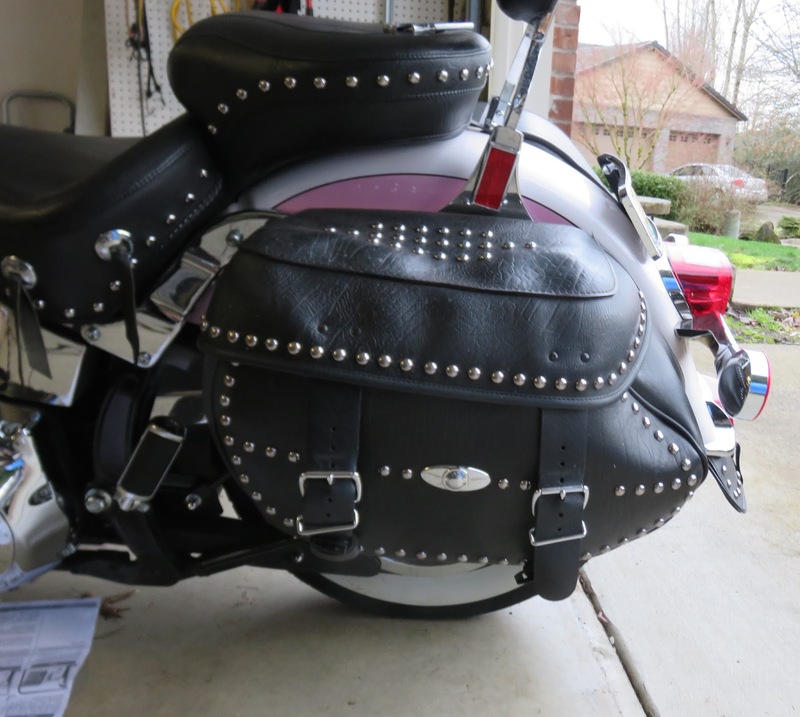 The bags are firm, they sit higher on my bike, and my passenger seat is wider than the stock seat. I was worried about clearance issues and how far I would be able to open the bags. 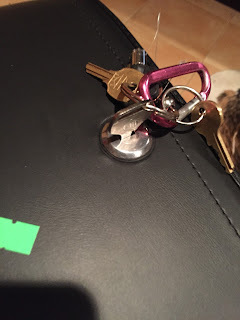 Had I chosen to use the other set of hardware I probably wouldn't have run into this issue. I think, with time, my seat and I will be able to toss that issue aside. The next problem I encountered was that I couldn't open the bags for a couple of reasons. One being that there is very, super hero like, velcro on each end of the bag. That's something I failed to notice in the beginning. The second issue was that when I dropped the lid it locked, duh, that's what I wanted, and after I wrap my blonde mind around that fact it will be a non issue. 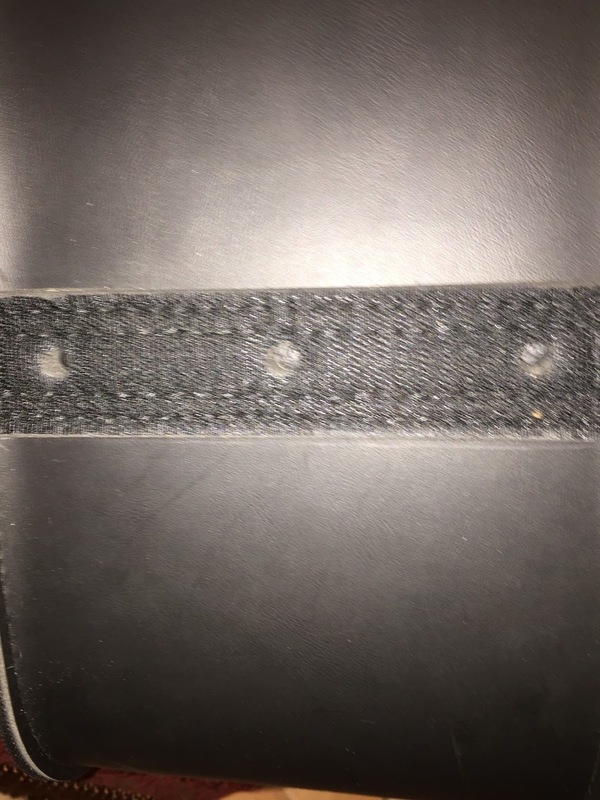 I love the velcro. It's another added benefit of these bags in keeping them securely fastened. 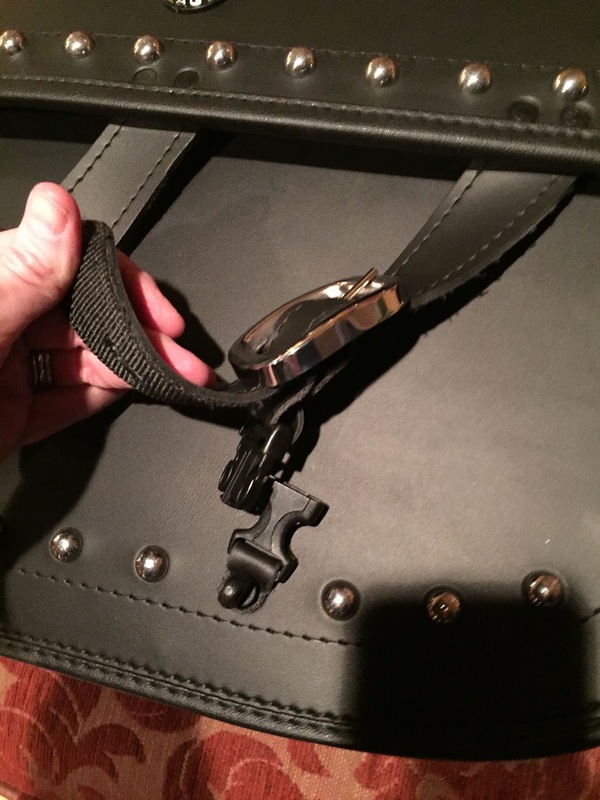 There are three straps with quick releases. The releases are a bit stiff, but I'm sure they will be easier to detach over time. 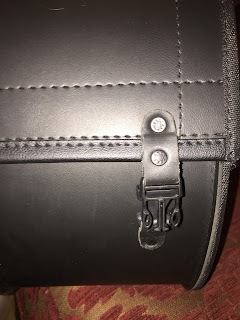 However, there's another cool feature of this bag that you can see in the video. 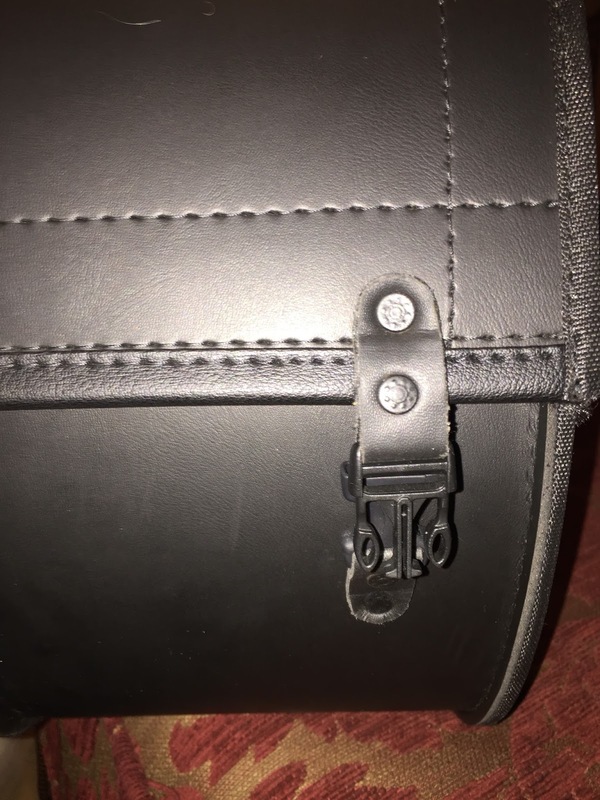 Beneath the strap is a little hard plastic "knob," for lack of a better term, and there are slits in the bottoms of the straps that fit right over the knobs. So where time is of the essence I really would have no need for using the releases. 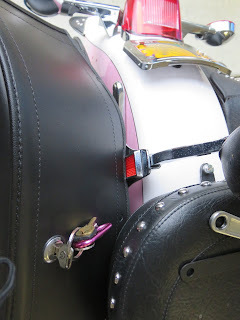 The knobs and the velcro alone will keep the lid of my bags from flying open while cruising down the road and every cool headband, Harley cap, and anything else, from making their way out of the bags and onto the windshield of a car, or God forbid another motorcycle, behind me. I love having the extra depth in these bags. I stopped by the grocery store a couple of days ago and was able to fit a good amount of groceries into the bags. That translates into being able to store more goodies for long trips. I prefer trips, long trips, over day rides, so I am one happy camper! After seeing the quality, durability, and extra room in the Trianon Bags from Viking Bags, I'm totally sold. I would even go as far to say that I would recommend them, not only to friends and family, but to my father, if he was living, for their bikes. You have no idea how scary it was to recommend things to my Dad, the keeper of all knowledge, but I would even buy him a set if he was still riding on this earth, that's how impressed I am. I looked, I really looked, for a reason not to like these bags, but I couldn't find any. 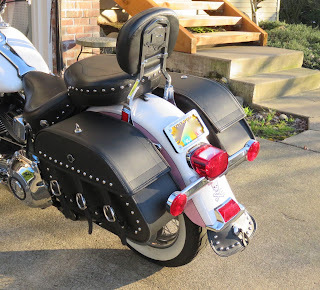 The more I rode with them, the more I handle them, the more I love them, and no more non-locking, sagging, bags! Ok, movie time. Grab some popcorn, candy, and a soda, and watch the video. See for yourself how amazing the bags look on my Harley. 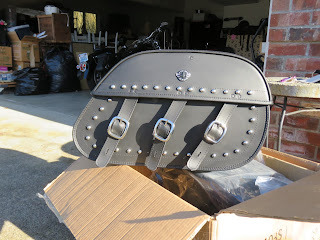 Then, click the links and check out the site for Viking Bags and find the ones you most certainly will love! A HUGE thank you to all at Viking Bags for allowing me the opportunity to review this awesome product! And, don't forget to visit me on Facebook!